**Size of the decal is by the width. 3. Leave your choice of initials in the "note to seller" section at checkout. Typically the initials are First LAST Middle, but you can have them any way you like. Be Sure to leave your choice in the order you want them as I do not rearrange them. Initials are cut in order given with the first and last initials smaller than the middle initial. 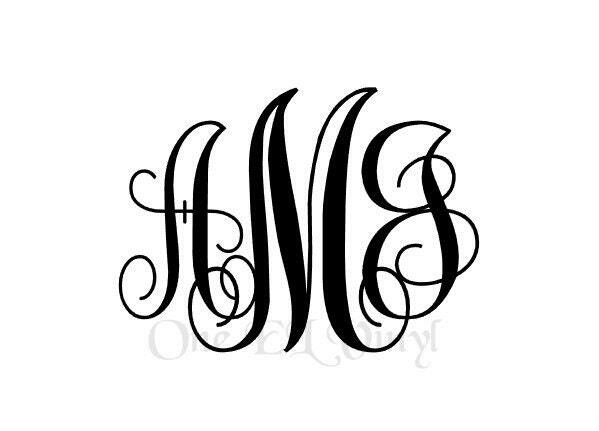 Monograms can be your initials, those of you and your husband combined, your children, or any other ones you may want. These are just a few ideas. 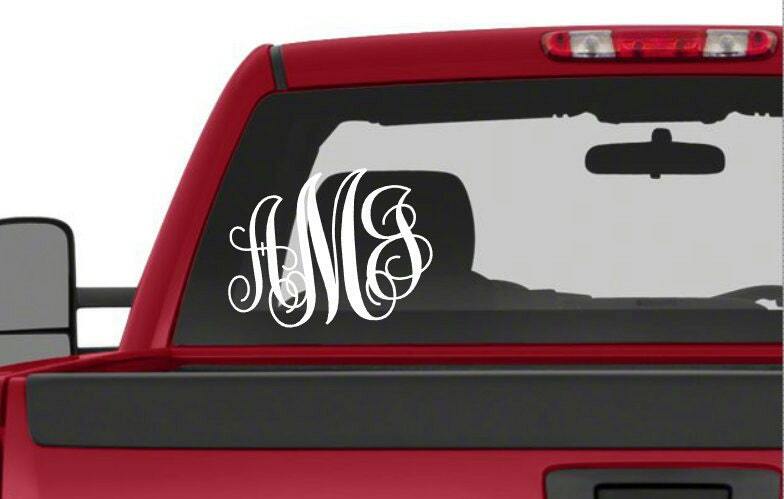 Be Sure to leave me your initials in the order they are to be in the decal. Smaller first letter, Larger middle letter, smaller last letter. Each decal is designed when ordered. They are not pre-made. Once ordered I take the 3 initials and create a cut file for your decal. Decals are then precision cut on a professional vinyl plotter using high quality Oracal 651 vinyl. 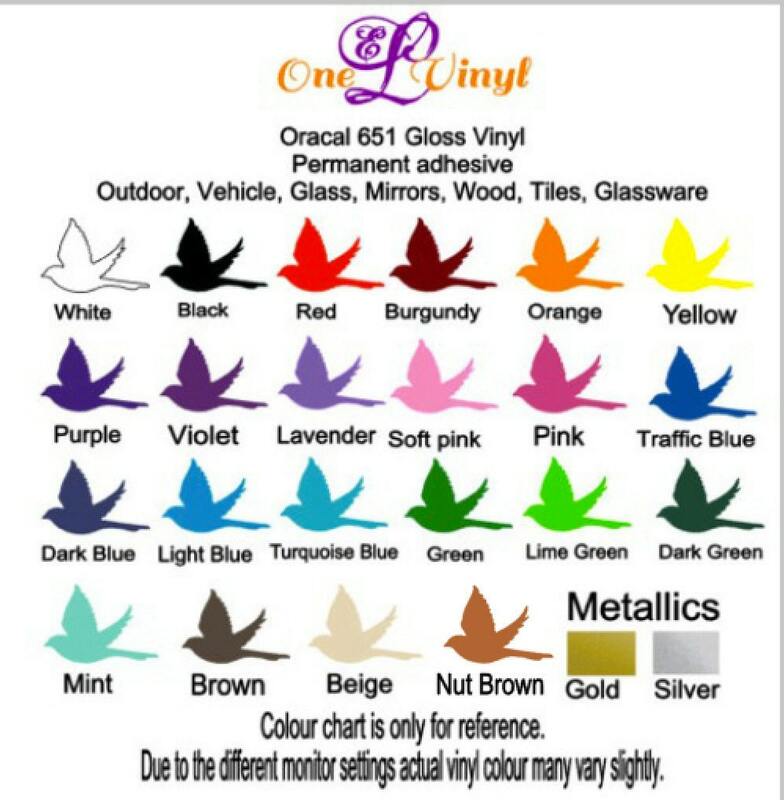 *Each decal is made of high quality, self-adhesive, Oracal 651 vinyl. *They can be easily removed but can not be re-used. Processing time is 3-4 business days unless otherwise stated in the Shop announcements - www.etsy.com/shop/OneELvinyl. Processing time does not include delivery time, this is the time allotted for me to cut your decal(s) and prepare them for shipping. Our decals are not pre-made, we make to order. Delivery time depends on your location.